Hello all and thanks for joining us this week for another episode of the WCU Podcats Podcast! This week Josh is joined by his wife Brittany again as they explore our first ever program spotlight in Criminal Justice. Brittany is a graduate from the Criminal Justice program and discusses some of her favorite classes, experiences, stories, and professors within the major. 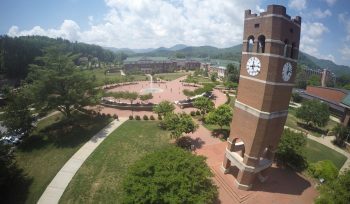 Don’t forget to subscribe, download, rate, and review on iTunes and iTunes U, on Facebook at facebook.com/WCUPodcats, and on Twitter at twitter.com/wcupodcats.